The term bespoke means something which has been made to a strict specification. The term though has it's origins way back in the 18th century when military gentlemen and officers, would have their uniforms made by tailors in Savile Row. Over time this developed into the tailors making weekend and civilian clothes for the officers. Fabrics would line shelves throughout the tailors premises. After a client had selected a fabric his name would be attached to the cloth. The fabric was then spoken for and hence the term 'Bespoke' came into common use. The term however has grown to mean much more. Now ‘Bespoke’ signifies something individual, exclusive and unique. Embracing a process that denotes an unusual amount of attention to detail and exceptional amount of handwork. 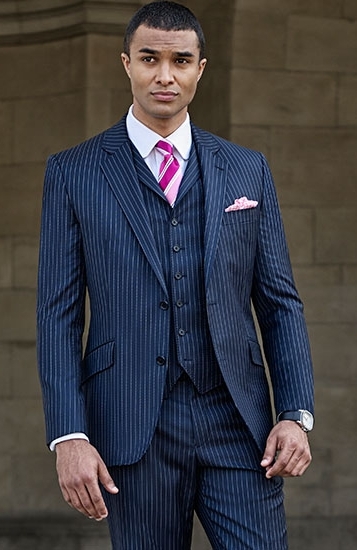 Ordering a JEFF BANKS Bespoke suit is an emotional adventure based on the illustrious background of British tailoring. 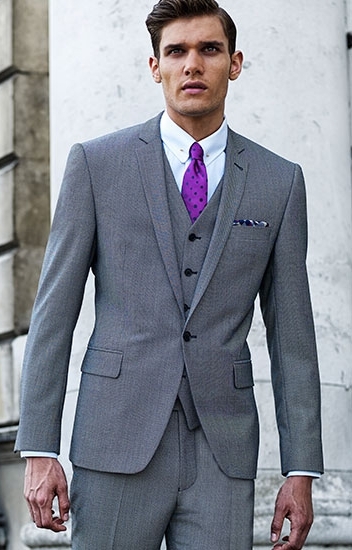 Your suit is the latest creation of 300 years of knowledge and craft. The JEFF BANKS bespoke suit fulfills a dream of elegance derived from minute attention to detail. An immaculate fitting and finish that can only be delivered through personal tailoring is as empowering as it is smart. The first undeniable fact is that no matter what size or shape you are there is nothing quite like having your clothes made to your own specific measurements. Knowing that any physical imperfections, and we all have them, can be overcome breeds an incomparable confidence. Add to this the pleasure of creating something of your own design is incredibly rewarding. Wether or not it's for a special occasion or a personal self congratulation or treat it is a truly rewarding experience. The truly inspiring aspect of having a bespoke suit made is the incredible choice that can satisfy even the most demanding of clients. To begin with there are literally hundreds of fabrics to choose from. This is then coupled with a wide selection of colours and designs of lining. Next is the opportunity to decide on type of fit and design details such as number of buttons on a coat, wether it should be single breasted or double breasted and the shape of lapels and pockets. The variations do not end there. Trouser shapes, button details and inside pocket embroideries are all part of the detail to complete a truly individual and exclusive experience. Once the outside of the suit has been sewn together it is carefully under-pressed and steam shaped. The lining is then sewn in and the suit is either ready for fitting or for continuing the making process. 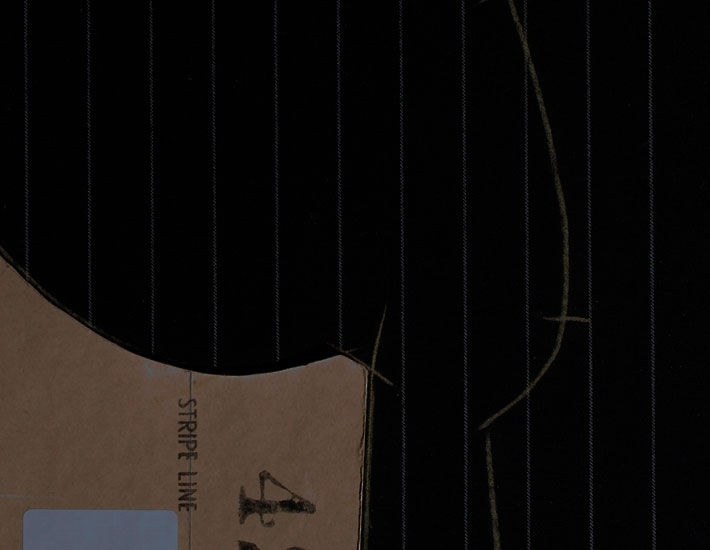 If a fitting is required, adjustments are made and then the suit is completed. Final sewing, buttonholing, buttons, top pressing and finishing. Each stage carefully checked under the watchful eye of a master tailor. 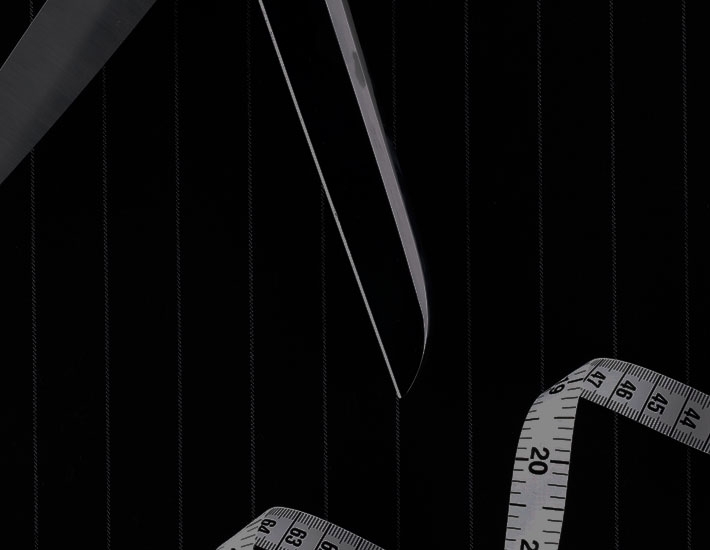 After your personal tailor has taken your precise measurements a pattern based on one of the three JEFF BANKS design shapes you will have been offered. This pattern is stored electronically for future suits. The pattern and your chosen fabric is then taken by the cutter who will carefully chalk out the design ensuring that any stripes or checks match. Every bespoke suit is individually cut along with all the internal components such as linings and paddings. Combining ancient hand craft and modern technology the internal elements are stitched together. The fronts and other visible parts of the suit are tacked together ready for the first fitting if required. If a fitting takes place, the adjustments are noted and made before final sewing takes place. Buttonholing, buttons, top pressing and finishing are all completed under the watchful eye of a JEFF BANKS master tailor.